The Vision Gran Turismo (VGT) supercar are generally only found in video games. As we have stated in previous articles containing some teaser images of this concept car, as well as the news that Hyundai will bring and show off for the first time the real figure of this concept car at the Frankfurt Motor Show 2015. 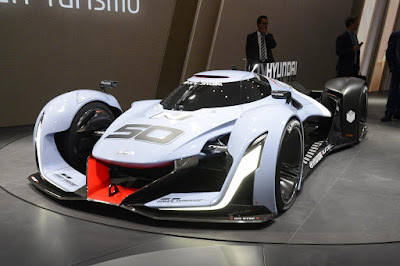 And now the car was successfully brought to life and showed off the 'Hyundai N 2025 Vision Gran Turismo' for the first time at the Frankfurt Motor Show 2015. 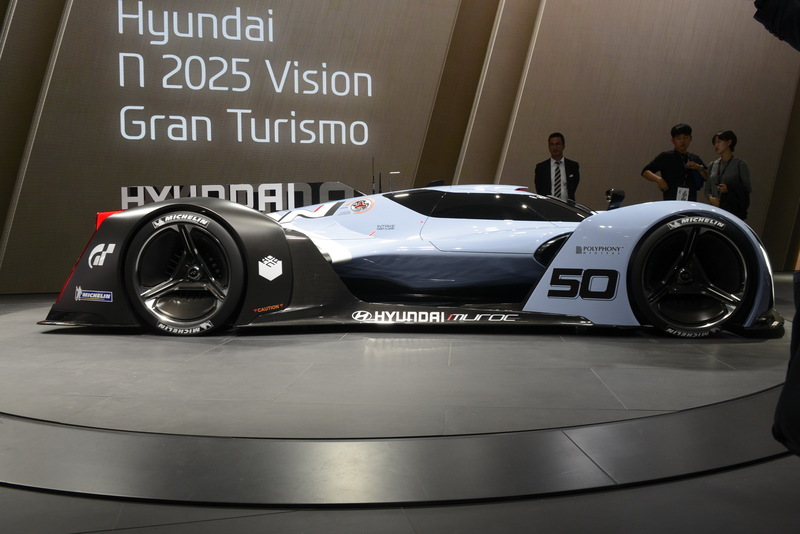 Hyundai N 2025 Vision Gran Turismo concept car has a flat body and ramps that almost touching the asphalt. 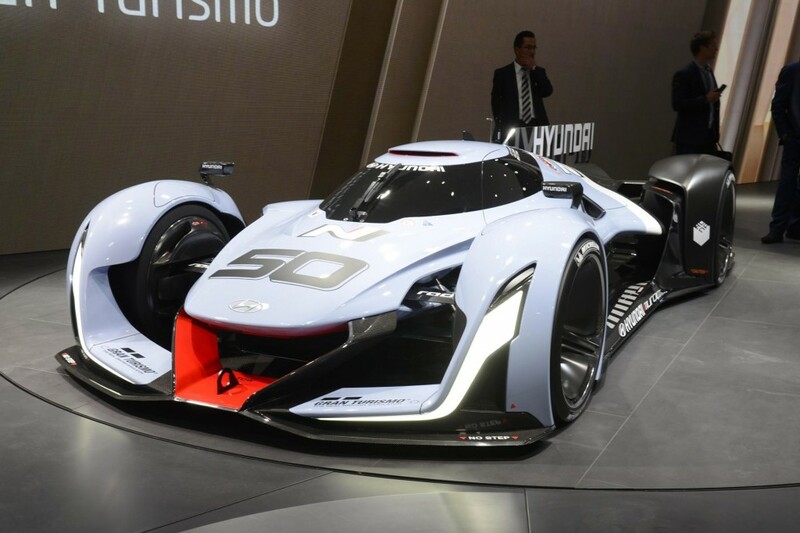 And Hyundai said that the car marked a new era of Hyundai's fast cars. 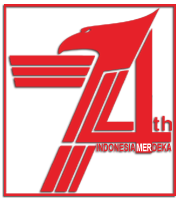 "Birth of the Hyundai N-Series cars write a new history. 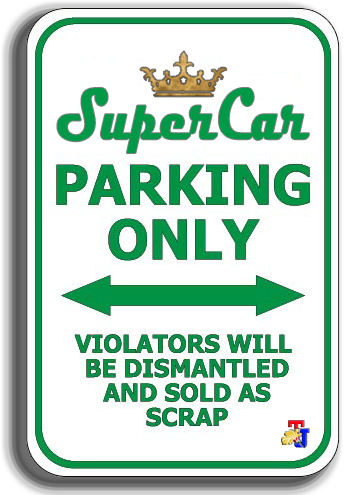 Anyone who drives a car is going to feel the incredible sensation of a car VGT, "said Albert Biermann, Head of the Car Performance Design Hyundai as reported from Carscoops on Wednesday, September 16, 2015. Hyundai N 2025 Vision Gran Turismo concept car does not use a petrol engine, but a hydrogen-powered engine. 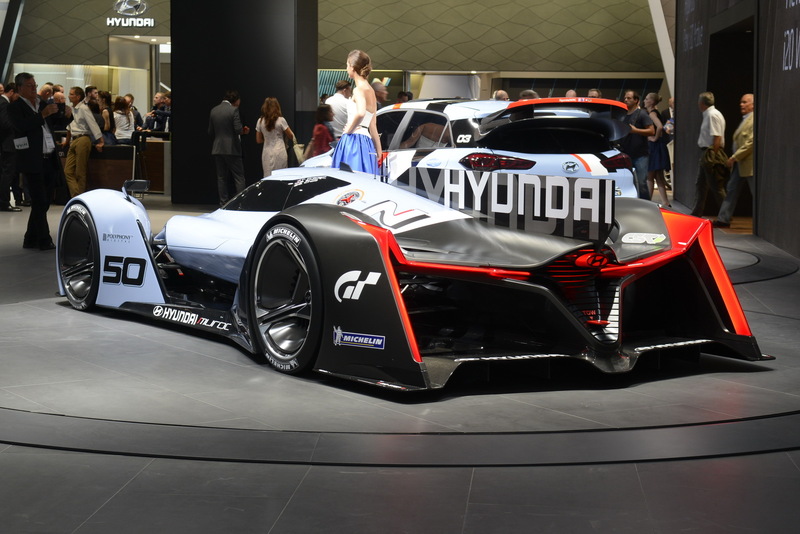 And those hydrogen engine capable of spraying power up to 670 hp and is assisted by a capacitor system, thereby increasing its power 201 hp to 871 hp. Then the power is channeled to the electric motors located at each wheel.